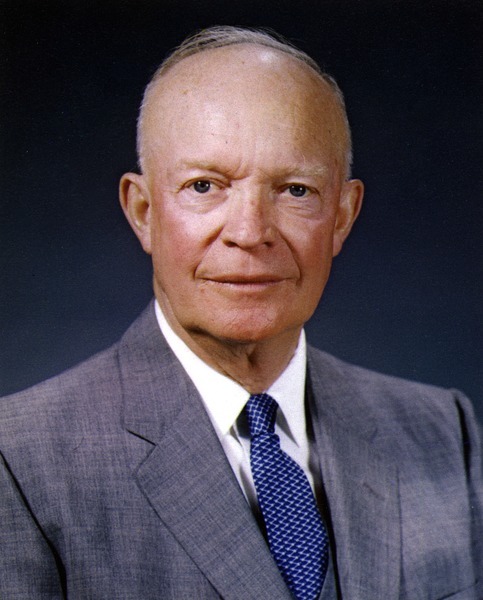 I had never heard of President Eisenhower’s “Chance for Peace” speech till today. He gave it in 1953, in the context of the Cold War, shortly after the death of Stalin. But many sections of it are startlingly relevant today, and stand in stark contrast to many policy proposals making headlines now. No nation’s security and well-being can be lastingly achieved in isolation but only in effective cooperation with fellow nations. A nation’s hope of lasting peace cannot be firmly based upon any race in armaments but rather upon just relations and honest understanding with all other nations. This is … a moment that calls upon the governments of the world to speak their intentions with simplicity and with honesty. This free world knows … that the defense of Western Europe imperatively demands the unity of purpose and action made possible by the North Atlantic Treaty Organization, embracing a European Defense Community. Full text of the speech on Wikisource (or as a PDF from the Eisenhower Archives).